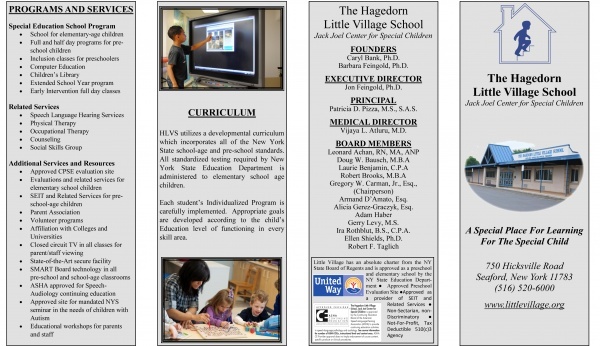 The Hagedorn Little Village School, Jack Joel Center for Special Children (HLVS) is a publicly funded, not-for-profit school highly regarded for providing outstanding educational and therapeutic services for children with developmental disabilities. 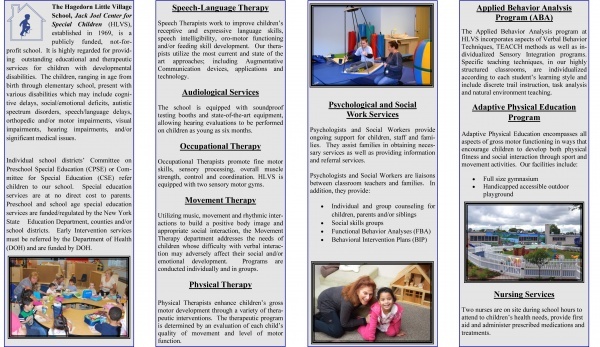 These disabilities may include cognitive delays, social/emotional deficits, autistic spectrum disorders, speech/language delays, orthopedic and/or motor impairments, visual impairments and/or significant medical issues. Our school provides year round programs and services that include diagnostic evaluations and treatment, early intervention, a preschool and an elementary school. The children that we serve range in age from birth through elementary school. 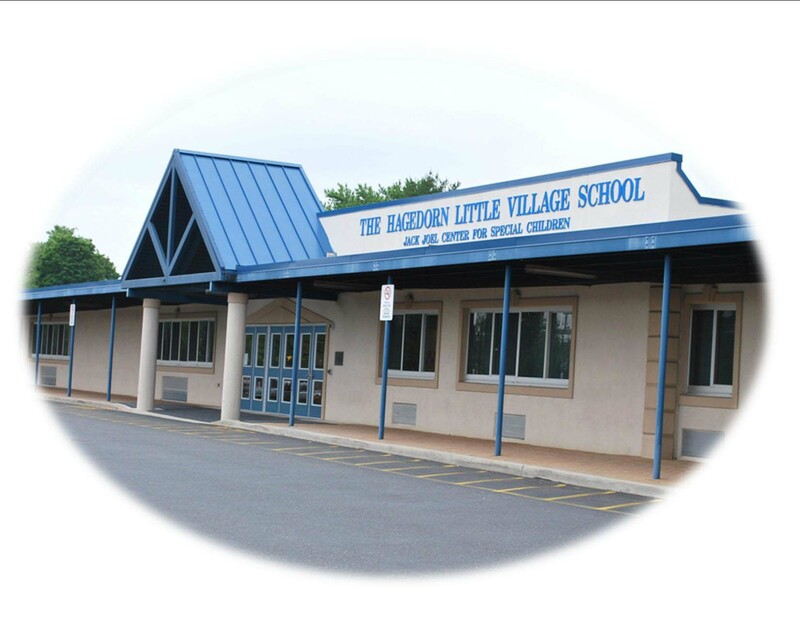 Little Village has an absolute charter from the New York State Board of Regents and is approved as a preschool and elementary school by the New York State Education Department. Our Philosophy: To facilitate each child in achieving his or her highest potential socially, educationally and emotionally.